An incredible venue where guests come to feel inspired and recharged by the earthly natural surroundings, impeccable service and premier facilities. 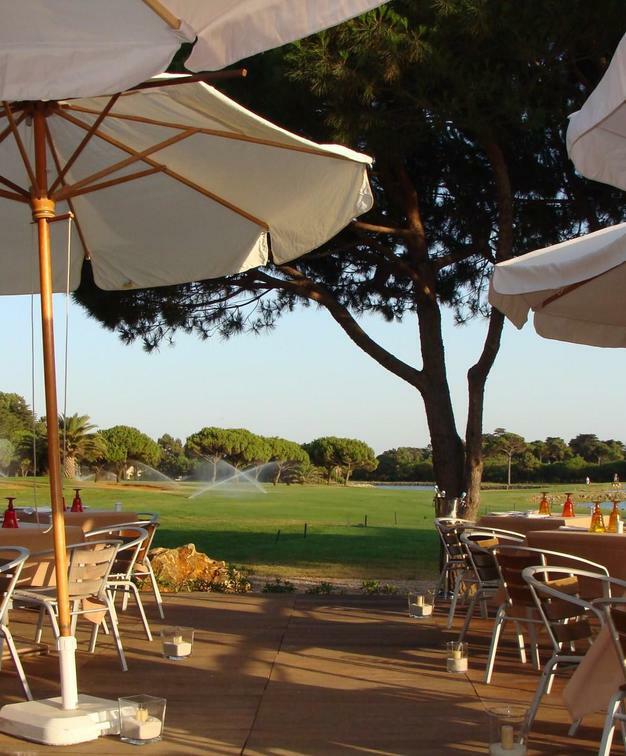 In an enviable setting, overlooking the Atlantic Ocean and surrounded by a pristine nature reserve, Hotel Quinta da Marinha is the perfect location to connect with nature while strengthening business relationships on the 18-hole golf course, reward employees with exceptional poolside luxury and impress stakeholders with the original Lakehouse events venue. 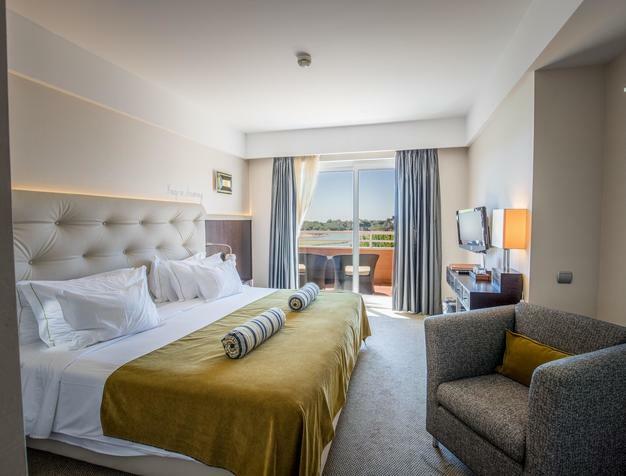 Also, Hotel Quinta da Marinha Resort is located in trendy, upscale Cascais, just 30 minutes from Lisbon's international airport. Connect with nature in one of the 198 recently remodeled, very well-appointed rooms designed to blend seamlessly into the green backdrop of the fairways and blue ocean close by. I cannot recommend this hotel more highly! Such a perfect location and we so much enjoyed all the facilities. The villas are well appointed, and bright, immaculately clean and comfortable, and with all the amenities you could want. 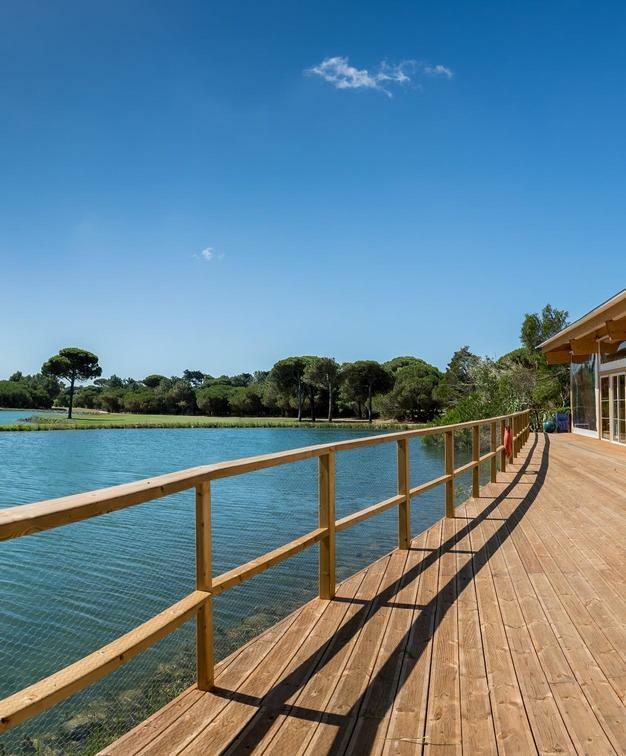 To add to the 11 available meeting rooms, with a capacity to accommodate over 600 people, the Hotel Quinta da Marinha offers an independent and exclusive Lake House, with a sophisticated atmosphere and perfectly surrounded by the golf course. The Lake House can accommodate up to 250 guests and is prepared to host a variety of events. The Gourmet Restaurant specialized in portuguese cuisine, Rocca, offers all the guests a variety of traditional delicacies made from organic vegetables grown on-site. The Five Pines Restaurant offers international buffet meals. RitualSPA in Hotel Quinta da Marinha Resort, is inspired by the oriental atmosphere and offers a wide variety of treatments, including spa, aesthetic treatments, body wraps, aromatic exfoliations, facial treatments and basic care. 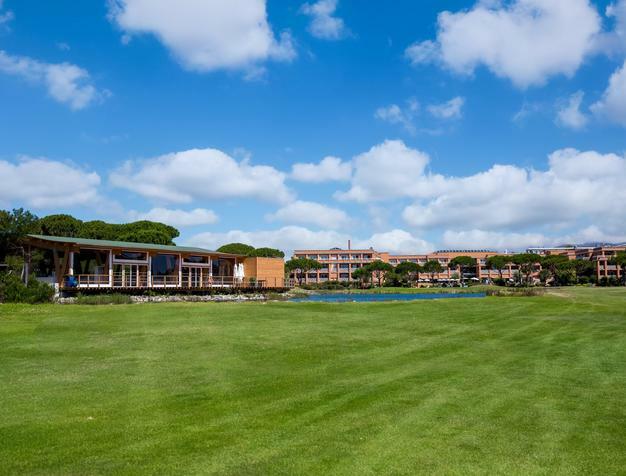 The 18-hole Quinta da Marinha Golf Course on site, designed by the legendary Robert Trent Jones, offers fantastic views over the Atlantic Ocean and the Sintra Mountains.